This was a very interesting book. It's definitely well-written and the characters were all really intriguing, if not particularly likeable. 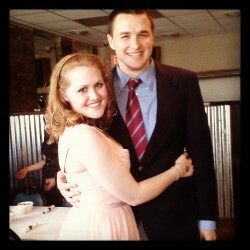 The only one I really liked was Frank and at times he was such a jerk that I didn't even like him. The ending's fairly depressing and the whole point of the book is that the traditional American family and the ideal of suburbia is innately flawed and a false dream. I don't agree with that at all. No family is perfect, but few families are as dysfunctional as the ones in this book. Yates tries to make it seem like ALL families are a sham and there is no such thing as a truly happy family.. and that simply isn't true. That aspect of the book came off as very pretentious and snobbish. In fact, that's exactly how I would describe the other main character, April. She's so wrapped up in her own misery and disappointment that her life isn't as glamorous and exciting as she hoped it would be that she refuses to see the good in her life, and she drags Frank down with her. Her life certainly isn't perfect, but she doesn't even attempt to see the good in it, and I found that to be incredibly frustrating. So, to sum things up, this book was worth the read. 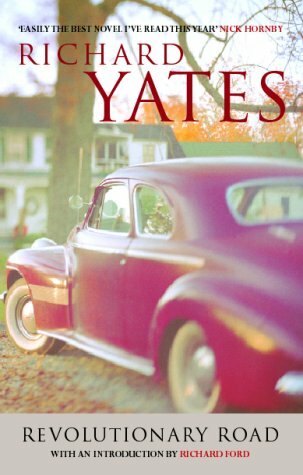 It's not ever going to be one of my favorite books and I don't really agree with its message, but I'm glad that I read it, if for no reason other than the fact that Yates is a very good storyteller.